General Services – Underwater Marine Contractors, Inc.
30 years of experience in both public and private industry has given UMC complete familiarity with industrial equipment and plant operations. Our prompt, cost effective service is one reason plant managers, consulting engineers, municipal officers, federal and state agencies and construction firms select UMC for their projects. Inspections represent a significant portion of our business. Over the years Underwater Marine Contractors personnel have completed visual, tactile, photographic and video documentation for: consulting engineers, federal and state agencies, construction firms, nuclear and fossil fuel plants, sewage treatment facilities, municipal water plants, oil and gas companies, steel mills, and chemical plants. 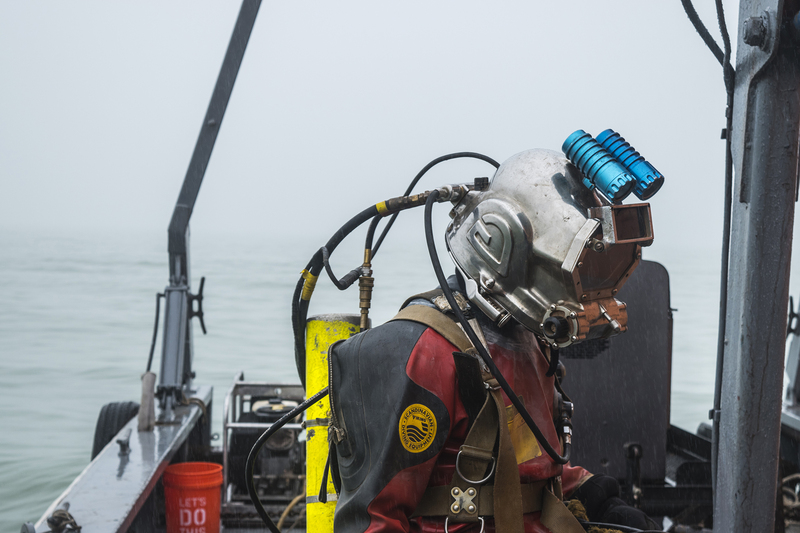 Our inspection services can include the use of live video, digital video, non-destructive testing (NDT), core and sediment sampling and inspections through the use of Remote Operated Vehicles (ROV). In situations where visual inspections are not possible, we can provide a thorough and detailed tactile inspection and sediment surveys. 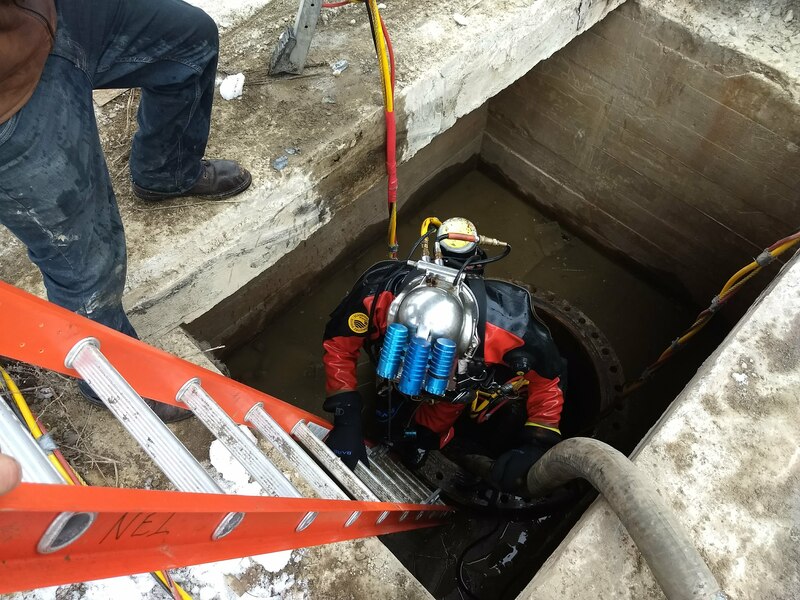 Our crews are trained and experienced in confined space work to complete each project as needed. Intakes and outfalls, traveling water screens, trash racks, pump wells, forebays, cooling towers, oily waste systems, oxidation tanks, scale pits, thickeners and hot and cold wells. UMC has developed and adjusted systems to reduce the amount of debris entering intake systems and thus improving the quality of water. This includes zebra mussel removal, fish runs and other debris the water can bring into a system. From the pre-construction survey and consulting services to the actual build, UMC can provide their customers with the services needed to complete their marine construction projects. 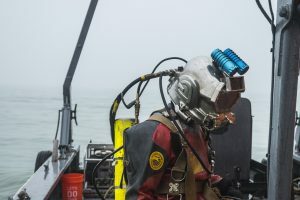 Underwater Marine Contractors has been involved in many different types of construction projects and has performed an incredibly wide variety of underwater construction techniques. From marinas, to repairing sheet wall, to Army Corp projects, we have the proprietary equipment and experienced crews available for any project. In addition, UMC is available for emergencies 24/7. Pipeline, bridge, dam, pier and bulkhead construction and repair projects. Gates, valves and stop log installation. Zebra mussel treatment systems. Concrete installation, cutting and drilling. Steel and timber cutting and removal. Pre-construction surveys and consulting services. © 2015 Underwater Marine Contractors, Inc.